At 3-1/2' tall, this nature-themed window perch has a curved butterfly-shaped upper bed and 2 flower-shaped steps. 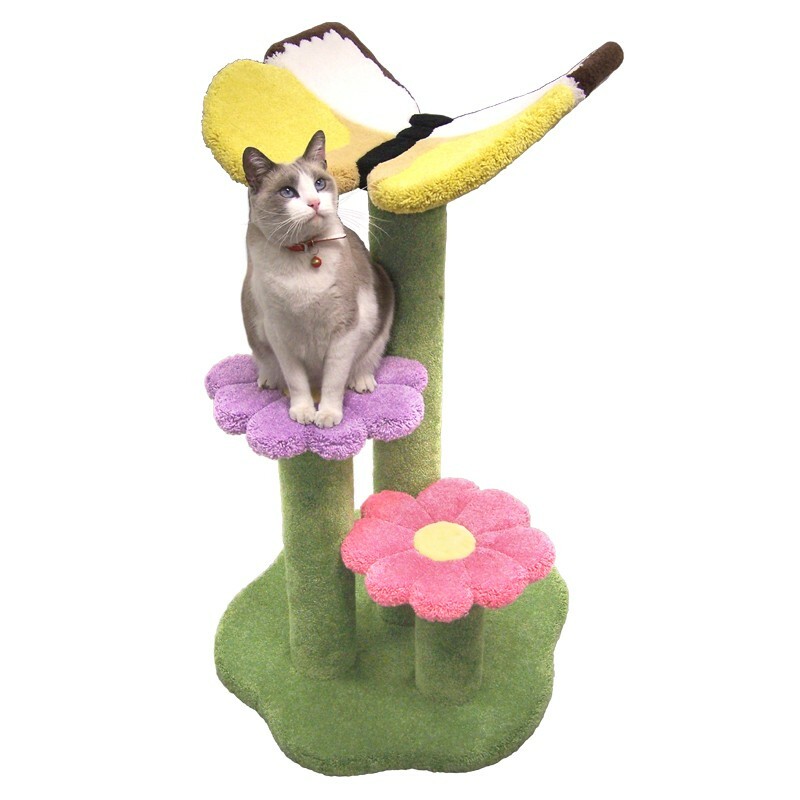 If you wish, you may convert up to 2 of the normally carpeted posts to sisal rope scratch posts, including options for colored (dyed) sisal rope for a small additional fee. Some assembly required.